We thank you for your contribution and any kind of support. We ask Allah to Accept your good deeds and May He Make them heavy in your scale on the Day of Judgement. Example (of) those who spend their wealth in (the) way (of) Allah, (is) like a grain which grows seven ears, in each ear hundred grain(s). And Allah gives manifold to whom He wills. And Allah (is) All-Encompassing, All-Knowing. The online donation by credit card requires no treatment or administrative costs. It therefore reduces the cost of collection. Simply present the bank details (RIB) of our association to your bank with the transfer amount, the date it will take place and frequency. Example: 15 € for 12 months every 10 months. 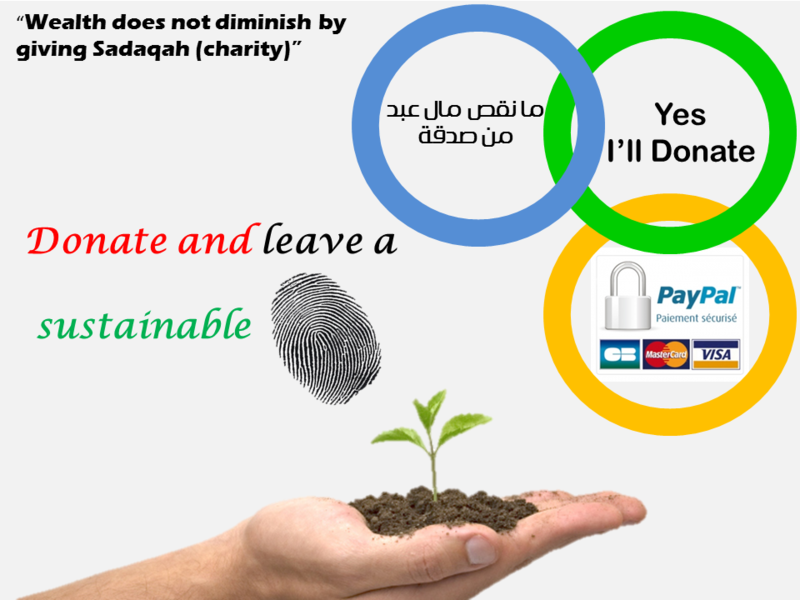 2-Enter the amount you want to donate each month (minimum 10 €). 3- Attach youy account details (RIB). You can stop your debit on request.